Hi everyone and welcome back to my blog! I am really excited to be here today taking part in the International Project Highlights for Kylie Bertucci. 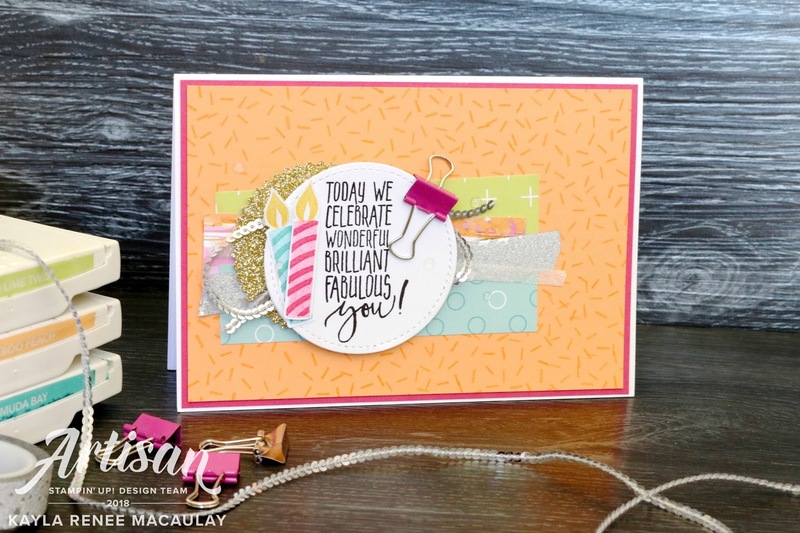 The theme of this highlight is to highlight one of the new products from the Occasions/Sale-a-Bration catalogues and so I decided to take the plunge and highlight a WHOLE suite. 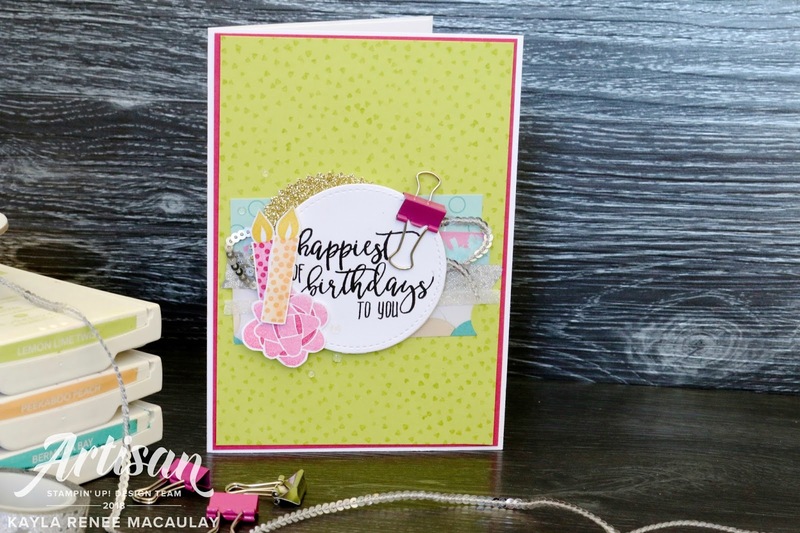 I fell in love with the Picture Perfect Party suite because of the beautiful BRIGHT BRIGHT colours. I am a huge fan of bright colours so this suite was right up my alley. I also love it because it gets me organised and making birthday cards, which I hope to stay on top of this year. See the post below for all the EIGHT cards I made (yep eight!!) and below I have included a recording of the Facebook Live video I did showing how these cards are made. If you would like to see all the other gorgeous creations in the International Blog highlights, feel free to click here. I would love you to vote on my cards if you like them! 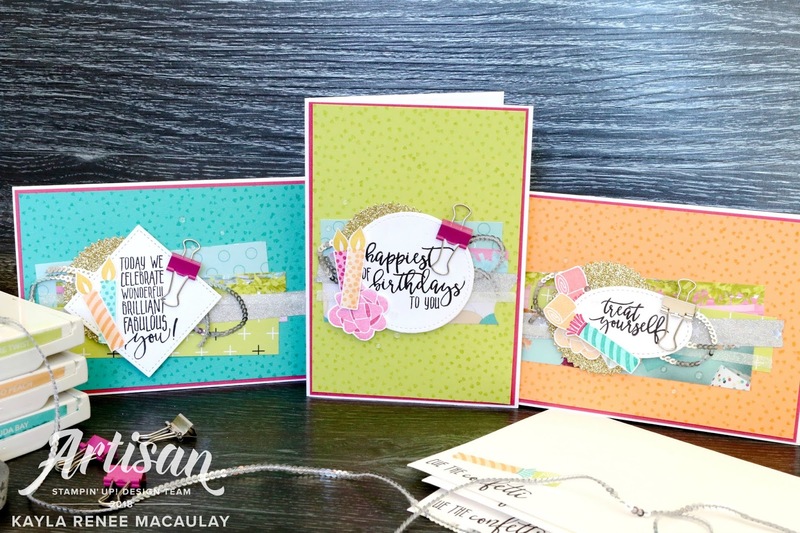 Onto the next lot of cards I made in my little collection of Birthday Cards I made using this gorgeous suite... I loved mixing up the colours. I made a mixture of landscape and portrait cards for something a bit different and mixed up whether I used party blowers or candles or even the gorgeous bows on my cards. Just to keep it different! All the cards are similar with just a few differences. There are lots to pick from for many upcoming birthdays! The Bermuda Bay cards possibly turned out to be my favourites. I love how the Bermuda Bay pops on the Melon Mambo layer. Bright colours just make me happy! Lemon Lime Twist is my other great love. I am going to be sad when they eventually retire this colour. I use it ALL the time. It looks great with so many colours! 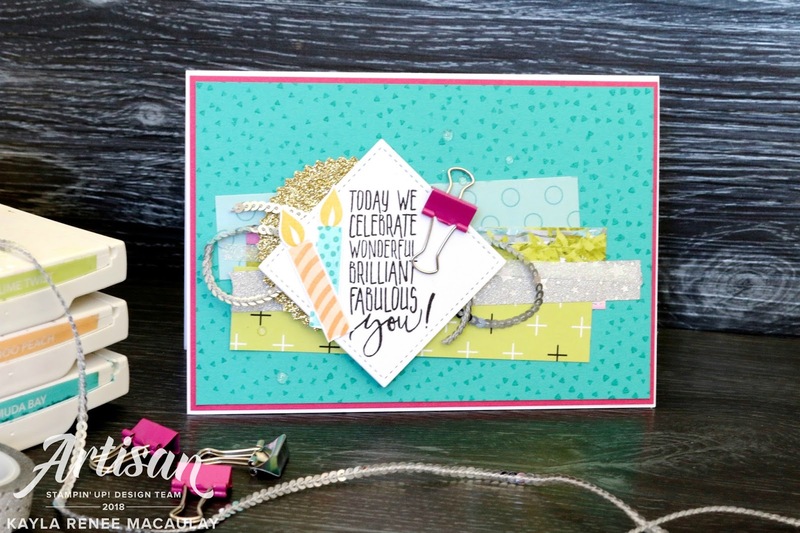 I love the Lemon Lime Twist Mini Birthday Binder clips too and have used all mine now. It's time for a restock! The streamer Designer Series Paper from the Picture Perfect 6x6 stack is possibly my FAVOURITE. I think that will quickly be used up. No paper hoarding for me here. 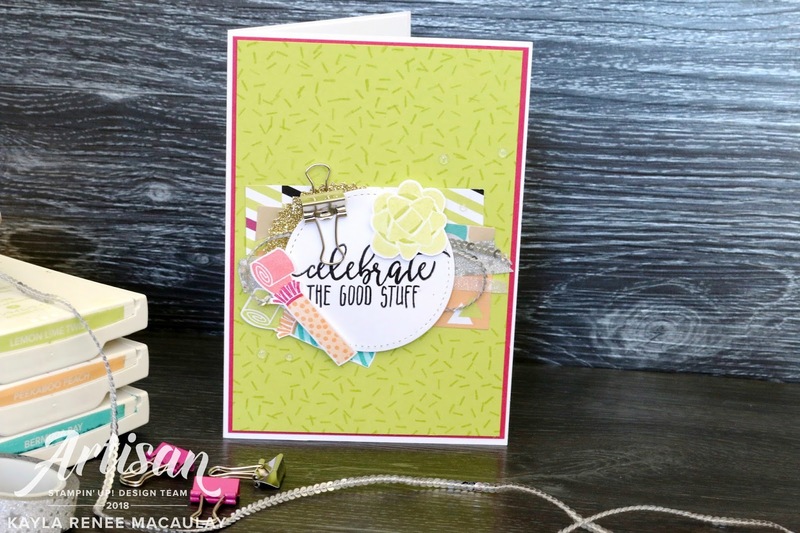 I loved mixing up the Stitched Shapes framelits and even like on this card turning them diagonally. This is my favourite sentiment. I think it could be used for so much more than just birthdays! Lots of pink and green on this card. Would you believe me if I told you my teenage bedroom was a combination of Lemon Lime Twist and Melon Mambo? I loved it!! Another card using my favourite sentiment. I love the bit of sparkle that the Gold Glimmer starburst punch and Silver Mini Sequin trim adds. 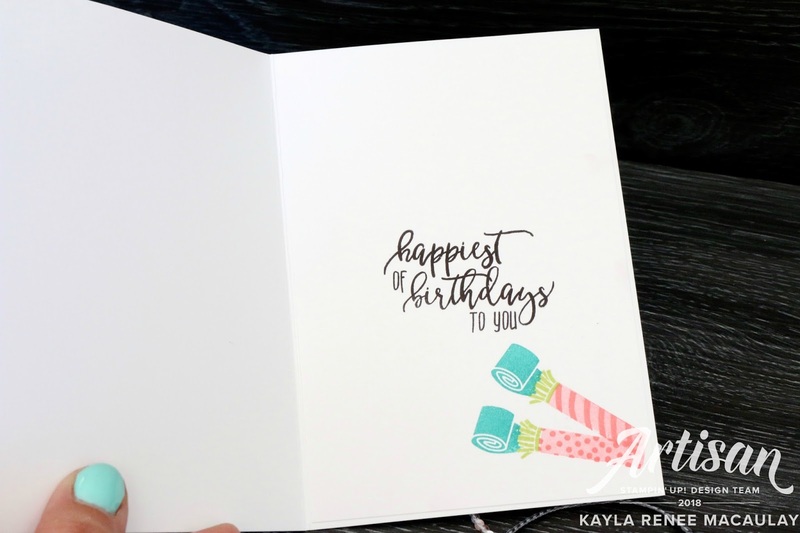 Perfect glittery fun for a Birthday Card. And the last card in the series which is one of the cards I made on my Facebook Live video which you can see below. And here's a look at one of the insides of the cards. They are all different and I mixed them up with different sentiments and different birthday icons. 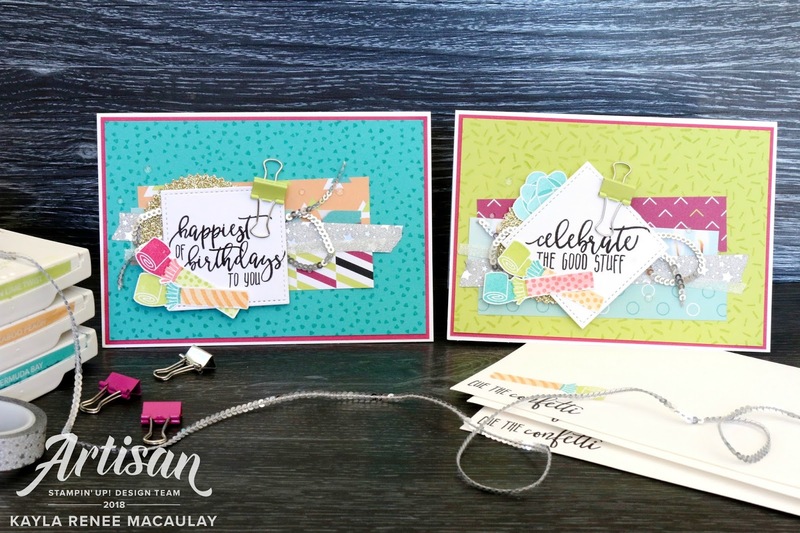 Nothing better than a finished card, decorated inside and matching envelope! 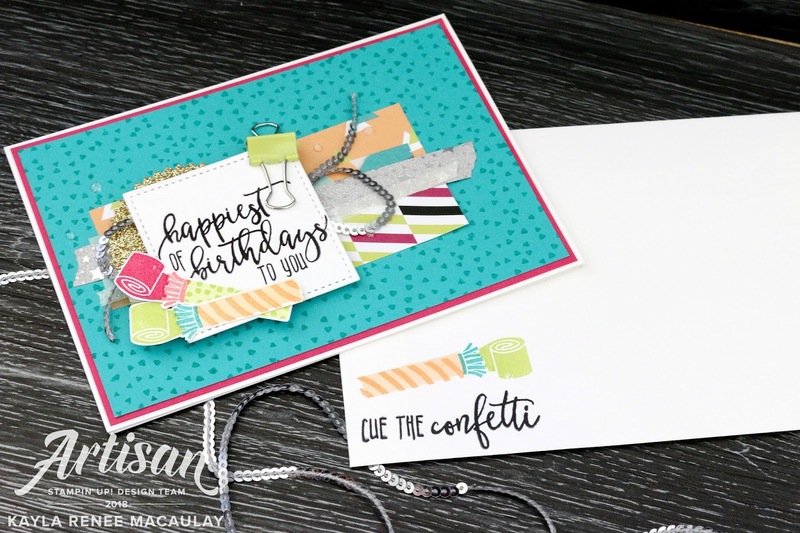 I hope you enjoyed a look at this set of cards I made using the Picture Perfect Party birthday suite! Don't forget, if you loved my cards, I would love you to go vote for them! Many thanks.